Driver's license policies are the best way and the worst way to insure vehicles in Mexico. How can that be? Well it all depends on how you look at it, and what you are trying to do. Mexpro writes Driver's license polices through Grupo Nacional Provincial. Let's look at the coverage. That's it, that's all you get with a driver's license policy; no medical payments, no travel assistance and NO PHYSICAL DAMAGE coverage. Liability and Legal Assistance are all that is offered. You have multiple vehicles that you intend to drive in Mexico, AND the condition or value of the vehicles do not justify insuring them for physical damage. Remember these policies provide NO PHYSICAL DAMAGE COVERAGE. You have registered street legal motorcycles, ATVs, quads, and golf carts that are ineligible for other types of coverage. The key here is registered and street legal, but yes these policies can cover some of the odd types of vehicles that other carriers won't take. How is the price determined? By the limit of liability you choose AND the number of drivers. The more drivers, the more risk, and the more it costs. Regardless of what you purchase these policies are pretty affordable, but they are not for every situation. Again, if you would insure the vehicle for Physical Damage here in the US, then this is not the policy for you. But if you have liability only coverage on your vehicle in the US or can't qualify for other coverage, then a driver's license may work out. If you are concerned about the lack of medical payments on a driver's license policy, you can purchase an International Travel Health insurance policy, also offered by Mexpro. It's pretty simple. 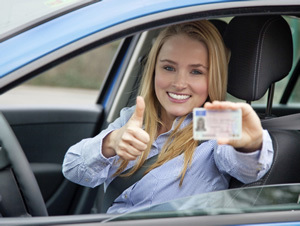 Get a quote for your Driver's license insurance policy today, by requesting a quote. When you get to the vehicle type question in the application, simply select driver's license.